Can be run without Steam client. Save file only tracks collectibles and achievement-related data. If the game detects multiple monitors it will render at the resolution of the lowest resolution monitor (even if it is not the primary monitor), regardless of in-game settings. Slider from 50° to only 70° (horizontal). 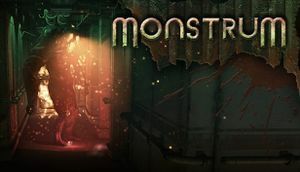 ↑ 3.0 3.1 Monstrum Mac/Linux Builds Now Available! This page was last edited on 18 April 2019, at 09:04.